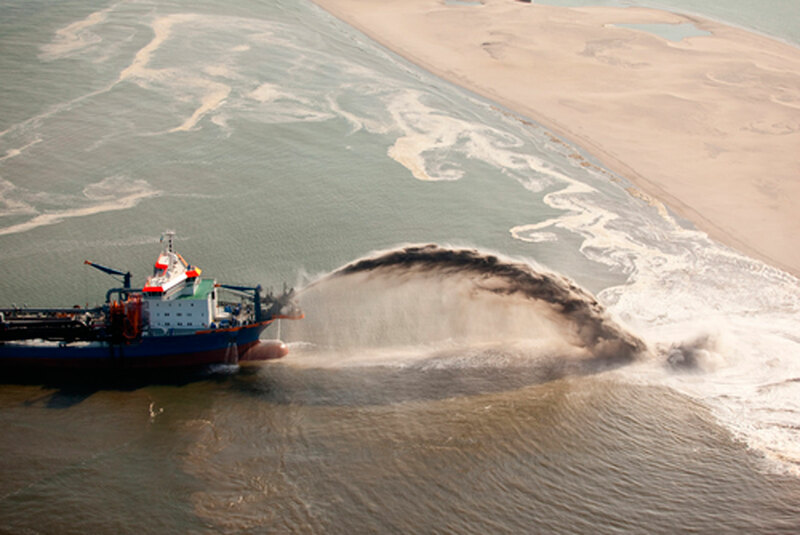 We perform dredging work with dredgers or immersion pumps, with precision local works or dredging of large expanses of water, with the use of anti-turbidity or anti-contamination barriers if required. We have accumulated valuable experience in the use of GEOTEXTILE TUBES for the containment and dewatering of dredging slurry: by means of forced filtration the geotube not only allows separation of the liquid-solid phases in programmable and relatively short times, it also allows the dredged material to be recovered post-treatment. This highly versatile system calls for significantly smaller work sites than conventional settlement ponds and, with moderate operations of site adaptation and subsequent restoration, it can be employed for the treatment of both small and large volumes of material.